Peru’s main international airport, Jorge Chávez International Airport, sits outside of its capital city, Lima. While backpackers might be able to get away with $35 a day, most travelers find their adventures through Peru cost around $50 per day. Most travelers come during Peru’s dryer winter, between June and September. Temperatures in Peru vary considerably, with its tropical section staying near 25ºC (80ºF). 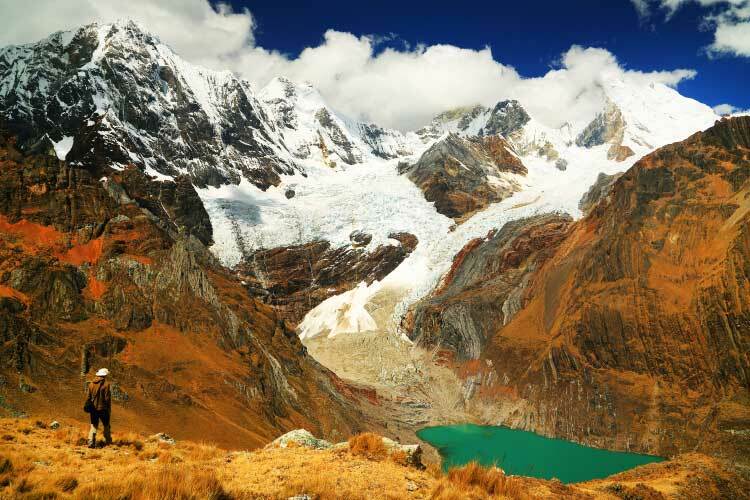 In contrast, the weather in the Peruvian Andes varies between 20ºC (68ºF) and 0ºC (32ºF) throughout the year. Colourful handwoven blankets and cloths are some of the most common souvenirs. Located on South America’s western coast directly adjacent to Brazil, Peru is a charming country with a fascinating history that draws visitors time and time again. Though the country is considered a modern backpacker’s haven, the country also has a lot of upscale, modern amenities for more affluent travelers. Peru’s geography can be broken up into three portions: the coastal regions, the Andes Mountains, and the tropical Amazon rainforest. All three of these areas feature a number of cities, though the coastline is by far the most populated area. 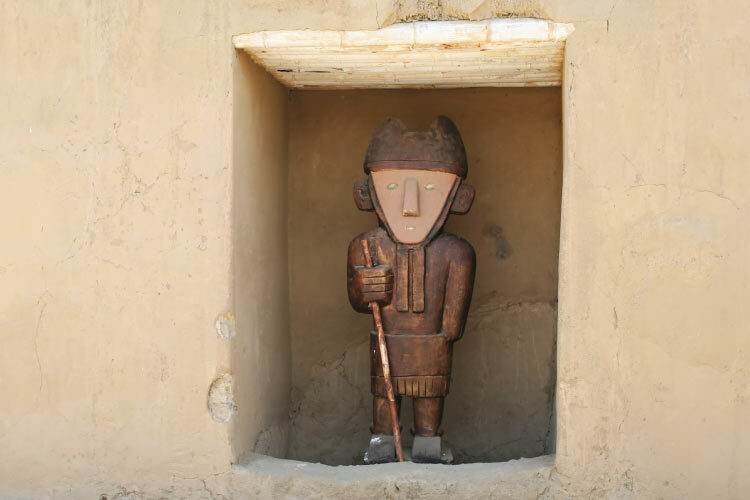 Peru has been inhabited continuously for at least 11,000 years, though Peru’s first organized civilization, the Norte Chico, didn’t arise until 3,000 BCE. Peru would be inhabited by a number of different indigenous civilizations, such as the Chimu and Tiahuanaco peoples. In the 15th century, the Incan civilization came to prominence. The Incans were one of the most powerful pre-Columbian civilizations in all of the Americas, controlling more than a third of South America in their heyday. The Incan civilization left tons of fascinating ruins for travelers to explore in Peru, including the famous Machu Picchu. Unfortunately, contact with the Europeans did not go favourably. In addition to introducing foreign diseases, the Spanish fought bitterly with the Incan peoples. Their ultimate defeat is widely considered to be a major turning point in the Spanish conquest of South America. By 1572, all Incan resistance had been eliminated, and the Spaniards took full control of the country. Shortly after, the Spanish subjugated numerous native peoples and imported African slaves to mine Peru’s substantial gold and silver reserves. They also introduced Catholicism, which even today enjoys popularity throughout Peru. As these resources dwindled, Spain underwent several political reconstructions and implemented several unpopular policies in Peru. Beginning in 1811, Peru clashed with Spain, and in 1821 national hero José de San Martín declared the country’s independence. During the 1880s, Peru fought with Chile in the War of the Pacific, which ended in substantial loss of land for Peru. The country has clashed militarily with its neighbours a few times since, notably in Ecuadorian-Peruvian War in the 1940’s. Peru and Ecuador have clashed several times since. In 1990, Alberto Fujimori became Peru’s president, and though his policies improved Peru’s economy, his brutal actions towards political dissidents are quite controversial. Fujimori went into self-exile in 2001 to avoid serving time for human rights violations. Since then, Peru has done a fair job of sustaining economic growth and restoring political stability. 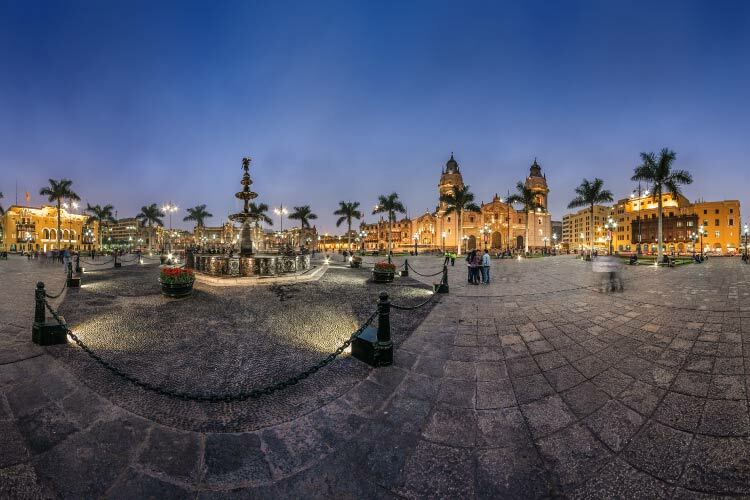 Lima is Peru’s bustling coastal capital, and the first stop in Peru for the majority of international travelers. The city presents an interesting mixture of colonial and modern architecture, and travelers ought to explore the historic city centre. This area holds the Aliaga House, which is considered one of the oldest houses in South America. Another popular site is the Church of San Francisco, a beautiful colonial church with an intricate catacomb system. Lima also has some of the country’s best shopping outlets. Be sure to check out Larcomar, a massive luxury shopping-entertainment complex built into the side of a coastal cliff in the Miraflores district. The city of Cusco was once the capital of the Incan Empire, and even today Incan culture is everywhere in the city. For instance, Cusco holds a number of interesting ruins, including Sacsayhuaman. This Incan citadel was the site of a major battle between Spanish and Incan forces in 1536. The Spanish side of the city’s heritage is best experienced near the popular square Plaza de Armas. Cusco also offers easy access to many of the more remote Incan sites, including the Sacred Valley of the Incas. The famous Machu Picchu is also accessible for Cusco. This impressive site symbolizes the Incan culture and is one of the most iconic tourist destinations in the world. Iquitos is often considered the gateway to the Amazon, as the famous iconic Amazon River passes by the city. 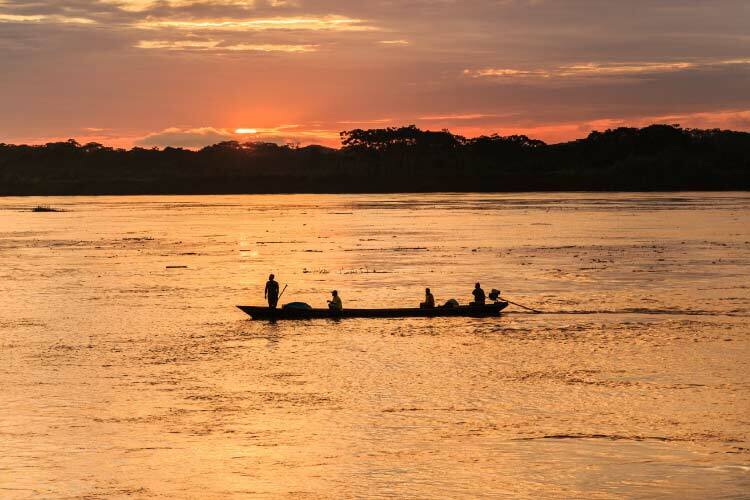 Taking a boat down the Amazon River and exploring the rainforest’s tropical wonders are a must-do while in Peru. The city of Iquitos also has a number of interesting destinations. The town flourished several decades ago, and during this time a number of unconventional buildings were constructed. Casa de Fierro is a popular example of Iquitos’ former extravagance. The city also has a fantastic manatee orphanage which offers guests a chance to bottle feed baby manatees. 1. Wander the streets of central Iquitos, and take in the extravagant architecture from Iquitos’ former glory days. Be sure to eat at one of the delicious restaurants right on the Amazon River, or even take a cruise down a portion of the river. The Iquitos manatee orphanage is definitely worth seeing and offers one-on-one contact with manatees. 2. Pacaya-Samiria National Reserve is Peru’s largest natural reserve, located near Iquitos. Here, visitors can explore huge swaths of untouched Amazon rainforest. This area has extremely diverse wildlife, but the pink dolphins are one of the park’s more famous residents. Nearly one hundred small villages exist on the banks of the Marañon and Ucayali Rivers, the two main tributaries for the Amazon and the borders of Pacaya-Samiria. 3. The coastal city of Trujillo is mostly known for its beaches, which include several world-class surfing locations. The city’s seafood is also noteworthy. Trujillo contains a good number of colonial era buildings, many of which are located near the city’s historic centre. Near Trujillo sits the ruins of Chan Chan, the ancient capital city of the Chimor (the largest pre-Incan civilization). 4 Lima is quite diverse and has lots to offer travelers. The historic city centre contains a number of colonial and modern buildings of note, including one of South America’s oldest homes, the Aliaga House. For a taste of modern Peru, head to Larcomar, an upscale shopping and entertainment complex built into the side of a cliff. 5. After being dazzled by the colourful homes and cheerful locals in Cusco, head to city’s market and marvel at the artisans at work. This area also contains Plaza de Armas, the Spanish portion of the city with a number of colonial era structures. Furthermore, explore the ruins of the ancient Incan fort, Sacsayhuaman. 6. 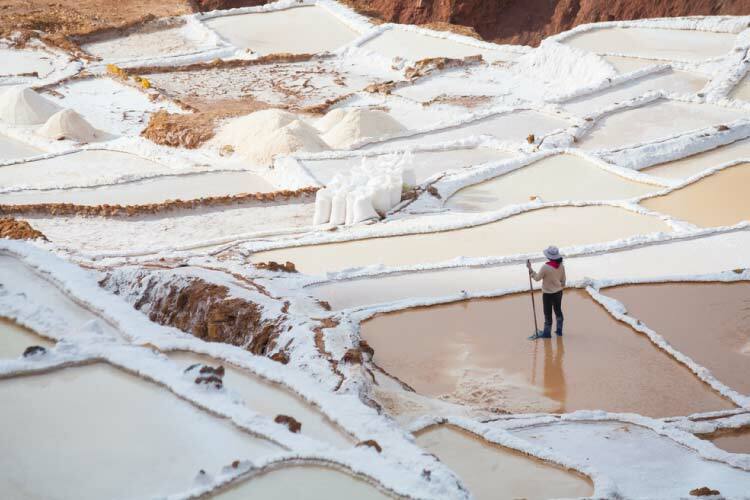 Though Cusco is a part of the Sacred Valley of the Incas, this region has lots more to explore. Pisac is another village in this area worth seeing. On Sundays, the town has a regional market, with local farmers delivering fresh produce from around the region. Another town one ought to see is Ollantaytambo; Compared to the rest of Peru, Ollantaytambo hasn’t changed much since the days of the Incans. A number of peoples still live in Incan-era homes, and ruins can be found throughout the city. 7. Machu Picchu is also found in the Sacred Valley of the Incas, but is a trip in and of itself. These impressive mountaintop ruins are widely considered some of the world’s best. 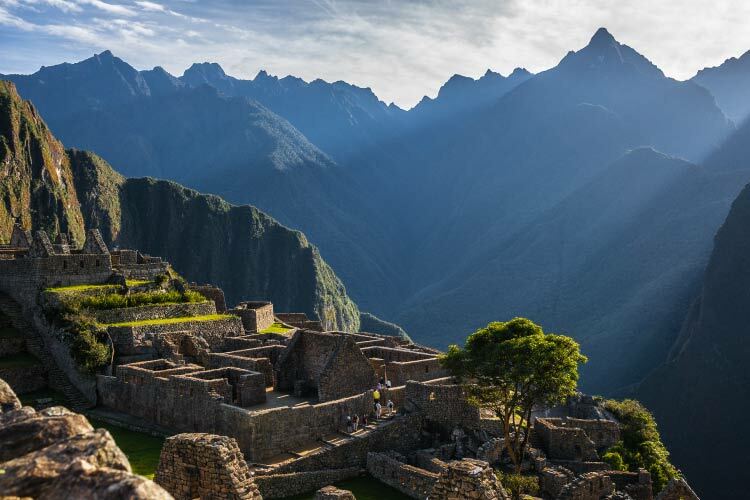 Machu Picchu is known for its fabulous masonry, as well as its lovely views of the valley. Llamas also abound in Machu Picchu, which can be a fun diversion when one has had their fill of Incan history.